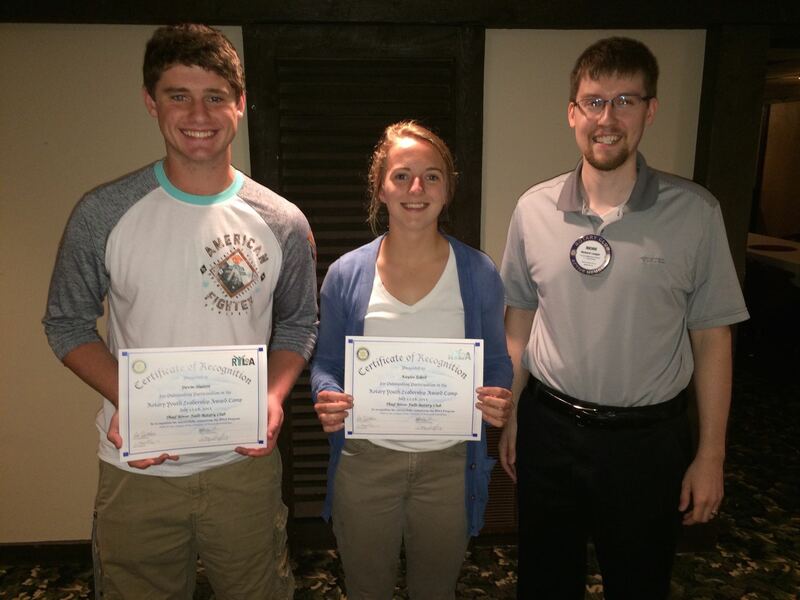 Thief River Falls Rotary President Richard Laager presented Certificates of Recognition to Devin Hutton (left) and Kaylee Eskeli (center) for participation in the Rotary Youth Leadership Camp which was held July 12-18. The Thief River Falls Rotary Club has pledged over $2,000 to help the people in Nepal following a 7.8 magnitude earthquake and subsequent 7.3 magnitude earthquake. News outlets report that the earthquakes have claimed the lives of an estimated 8,125 people and affected an estimated eight million people (one million of whom are children). 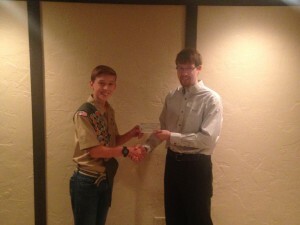 All funds will be sent to the local Nepalese Rotary District 3292, where a disaster relief fund has been established. Thief River Falls Rotary President Richard Laager presents a check of $250 to Brigham from Boy Scout Troup 57 for his Eagle Scout project repairing and improving parts of the Riverwalk.